The energy released at the blast site is sufficient to cause permanent changes to the rock mass. This area is typically less than 35 hole diameters. For example, a 3-inch diameter hole would cause fracturing that extends out approximately 105 inches or almost 9 feet. Outside of this area the energy is elastic, so that the particles of the Earth are not permanently deformed or displaced. After the energy passes the particles return to their original resting position. As particles of the Earth are displaced, these particles impact other particles which impact other particles, and as this process continues, the energy is transmitted away from the blast site. This transmission of energy flows as a wave. An analogy would be the effect of dropping a stone into a pool of water. 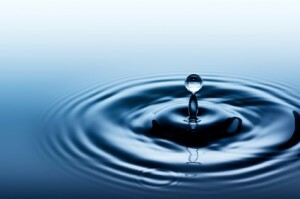 At the point of impact, the water is displaced sufficiently to produce individual droplets that separate. Past the impact point, the energy can be seen traveling away as waves. As the energy travels outward from the source, it diminishes or attenuates. With increasing distance, the affected area greatly increases and the energy becomes widely dispersed. In general, the amplitude of the vibration can be expected to decrease by approximately two-thirds for every doubling of the distance.